The benefit of B.I.S.S. 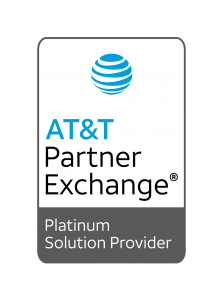 being an AT&T Platinum Solutions Provider is that we work directly with AT&T to handle all the calls, troubleshooting, and technical issues so that you can focus on growing your business. We use Open source software to provide our customers more control over the software, better security and stability than proprietary software, and of course the benefit of reduced costs passed on to our customers. We run your IT, like we’d expect ours to run. As a Microsoft Partner we provide our customers licensing, solution, and cloud based solutions. Also, as a Partner we have established a close working relationship with Microsoft that allows us to be your direct contact for any IT issues. Joyent enables us the flexibility and security of open source, and offers our customers the opportunity to run any size application necessary to operate their business efficiently. You demand, and we supply, elevating your business as it should be. We provide our customers end-to-end enterprise networking solutions. Our customers should receive the latest technology that provides a simpler, faster and more secure network environment for their business. Top of the line solutions for routing, switching, and security. Its custom chip called ASICs (Application Specific Integrated Circuits) are expressly designed for fast data transfers. With its agility we can provide our customers network virtualization, and remote office support, so that no matter where you are, you have us one-click away from solving your problems.